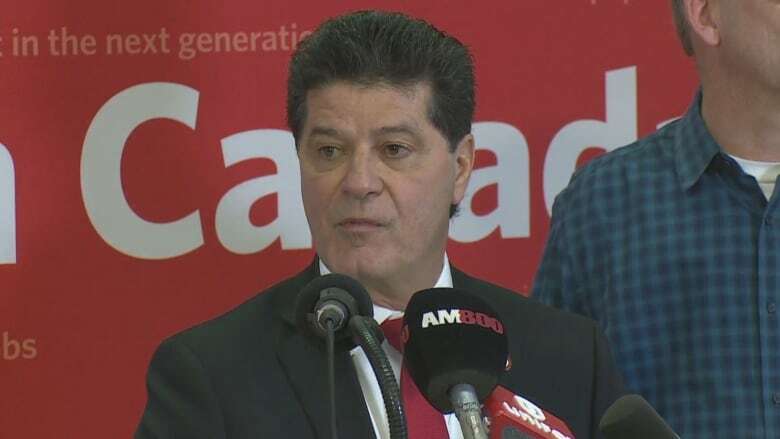 Unifor national president Jerry Dias says General Motors needs to solidify its footprint in Canada, rather than investing in Mexico, "which never gave them a dime." He held a news conference Thursday after meeting with GM representatives in Detroit, Mich., to discuss the company's plant closure in Oshawa, Ont., and the future of operations in Canada. "When GM needed Canada the most, we were there," said Dias. After GM filed for bankruptcy protection in 2009, the federal and Ontario governments provided about $9.5 billion US in financial aid to the company. In late November 2018, GM announced it will be closing five plants in Canada and the U.S. in 2019. The company said it planned to shift some of its focus to autonomous and electric vehicle development. There are 2,522 employees in Oshawa who will lose their jobs with the closure of the local plant, which has been in operation for 65 years. Greg Moffat, plant chair with Unifor Local 222 in Oshawa, said the closure in his city will also affect spin-off jobs relying on GM. The company said in a media release Thursday that it has not opened a new plant in Mexico in over 10 years. It also said less than 10 per cent of GM Canada's sales come from vehicles produced in Mexico. Dias pointed out that the production of a number of vehicles that used to be manufactured in Canada has moved to Mexican plants, such as pickup trucks, the Chevy Terrain and the Equinox. Even though there isn't a new plant in Mexico, Dias said, "the capacity is coming from somewhere." "There's no reason why they couldn't have launched the Chevy Blazer in Oshawa. There are numerous solutions," he said, "The question is does General Motors have a commitment to Canada." He said Canadians built around 300,000 GM vehicles last year and purchased around the same number. In comparison, Dias said Mexican consumers are buying only a small fraction of GM vehicles manufactured in Mexico. Tap the player below to watch the full media conference. According to Dias, Unifor has launched a campaign to get GM's attention and are not backing down. He also hopes the provincial government will do the right thing, saying that "the premier in Ontario folded immediately" when GM said closure of the Oshawa plant is a done deal. GM has said it will be helping to train Oshawa workers and connect them with new employment. The company is expected to respond on Jan. 7 as to whether or not it will work with Unifor to keep the Oshawa plant open.